I hope you had a great weekend! Most of mine was spent packing invitations and making address labels but I did manage to sneak in a brunch with my boys and a BBQ with some friends and family. No alarms were set and we finally found the perfect light for our dining room. So wins all around! But it’s Monday now and I’m excited to be digging back into my 2017 Closet Mission with a proper Spring Check-In. I find these posts really help to remind myself of the goals I set at the start of the year, allow for some progress evaluation (ideally judgement free) and simply serve as an opportunity to take a moment to share my plans for this blog as it evolves. At the start of the year I was feeling uncertain about my place in the blogging world, my role as a responsible style influencer and the purpose that this space serves in general. But now, 5 months later, I’m feeling much better about the road ahead. Much of my new-found contentment (in many aspects of my life) has been derived from my decision to step back, slow down and trust my instincts more. I’m a planner by nature and I don’t like surprises so embracing an unknown future and accepting that things work out how they’re meant to has been a big change for me. Taking the pressure off by placing some major projects on the back burner has also made room for me to enjoy this weird creative adventure without the constant pressure of an unfinished to-do list. So with that in mind, here’s what’s on the agenda today! This year has been flying by way faster than I could have imagined. I’m honestly a bit stunned by the fact that it’s May 1st today. But instead of freaking out about all the things I haven’t done yet or need to do I think it’s a good time to acknowledge was has happened this year because it’s been a busy one so far! 1 | WORRY LESS ABOUT THE NUMBERS | This one was been pretty straight-forward and while I haven’t been counting necessarily, I have been keeping a close eye on clutter. When my closet starts to feel crowded or my drawers start getting over stuffed I take a moment to weed out anything that’s gone untouched or been buried for too long. I consider whether it still warrants a precious piece of closet real-estate and then I proceed accordingly. Conducting a bi-weekly mini-edit has been a great way to keep tabs on what I have, what’s being used and what’s wasting space. 2 | SUPPORT CANADIAN BRANDS | I feel pretty good about how this goal is shaping up! I’ve featured several Canadian brands that I really like and believe in such as L’Intervalle and Power of My People and I’m looking forward to featuring more as time goes. At the same time I’m also very cognizant of the fact that I don’t want to bombard you, my valued Style Bee reader, with too many new things all the time. It’s a tough balance to strike but I’ve felt great about the way I’ve been working with brands and presenting them here on the blog. 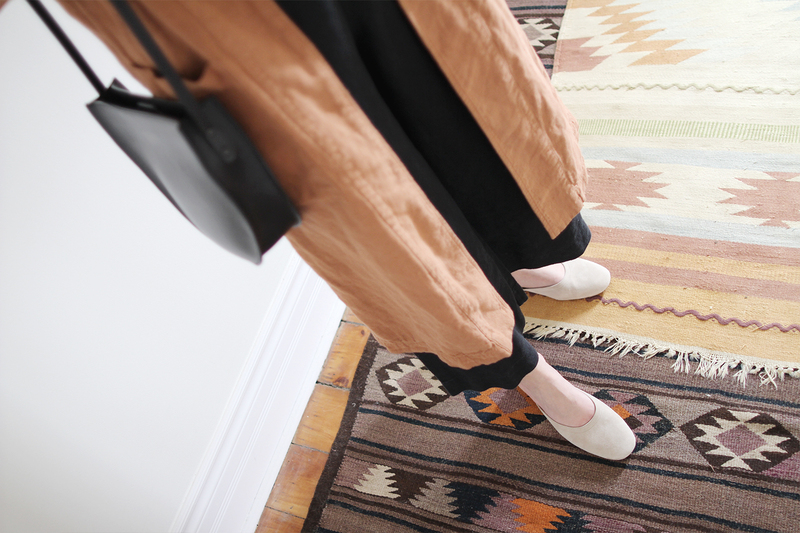 I’m also cautious about sharing Canadian brands just for the sake of their being Canadian. For me, being a Canadian label is a bonus, not a mandate for what I buy or share. 3 | CONTINUE TO SHOP RESPONSIBLY | This one has been a breeze since there are SO many wonderful responsibly made options available now. In fact, it’s kind of overwhelming. There are still a few areas in which I’m hoping to discover more and do better (sleepwear, socks & workout wear for example) but for the most part it’s been awesome to discover new responsible brands and see my favourites growing and going strong. 4 | REMIX / REMIX / REMIX | Oh yep, I love this goal and it’s been on my mind every day this year. Getting more out of my clothes, playing with style and pushing the versatility of my closet has been my favourite aspect of the blog in 2017. The latest #StyleBee10x10 Challenge was an absolute blast and seeing how the community has expanded is such a rewarding experience. So thank you for helping make this goal easier than ever to stick to! 5 | SHOP EVEN LESS | Annnnd this is where I stop patting myself on the back so much. Sure I’ve shopped less than in previous years, but not as little as I would like. I’ve had some bad luck with a number of final sale pieces that have made their way into my life but they won’t be staying for long. Luckily, I don’t experience the same sense of buyer’s remorse as I used to get when a purchase didn’t go as planned. Each one I make is carefully considered but it seems that many just haven’t worked out as I’d hoped. But whether it’s sizing, fit, colour or whatever it is that’s off, it’s ok. I’m choosing not to beat myself up about it but instead to live and learn and take a break. More on that below. Last week I was in a frenzy trying to figure out what to order from the Elizabeth Suzann WWC and just when I felt ready to click ‘COMPLETE ORDER’ my credit card company called to say there were fraudulent charge attempts on my card and it had to be cancelled. Which meant no shopping until the new one arrives and gets activated next week. My typical response would usually have been, ‘What!? No! I need to a credit card!’ But the feeling that resulted from this unexpected shopping halt surprised me because instead of frustration I felt relief. Partly because the fraud charges didn’t go through but mostly because it meant I didn’t have to make any decisions or pull any triggers for a little while. I could just take a breath and relax. How nice! So what does that mean? Well, I’m taking it as a sign that I needed a break and a reminder that life without online shopping is just as enjoyable (if not more!). I’m also taking it as a sign that I need to listen to my gut more. Instead of shopping because it’s good for the blog or necessary to stay relevant or because everyone else is, I’m going to just relax and trust my instincts. If it feels 100% right, great, if there is even an inkling of anxiety or hastiness associated, I’ll hold off. In fact, I’ve decided to go on an official Shopping Fast for the entire month of June! More on that below. In the meantime I have a couple pieces from Elizabeth Suzann that I will order* and an accessory or two from Garmentory that I’m excited about but otherwise I’m letting myself lay real low on the shopping front. *I’m still deciding but a pair of Florence Pants in Ivory Linen, a Black Petra Crop and a Mara Jumpsuit in Ivory Linen for my wedding festivities (bachelorette, rehearsal dinner etc.) are currently in my cart. Simple top (tucked in), high rise pants (wide or skinny), cute flats (mules or sneakers incl.) + a duster coat and my black cross body bag. 1 | DUSTER COATS | I’m a full on duster coat addict at this point. I can’t seem to go a single day without wearing one but to be honest I haven’t actually tried. This style has been a huge gamechanger in my closet and one that’s potentially permeated my personal style for good. 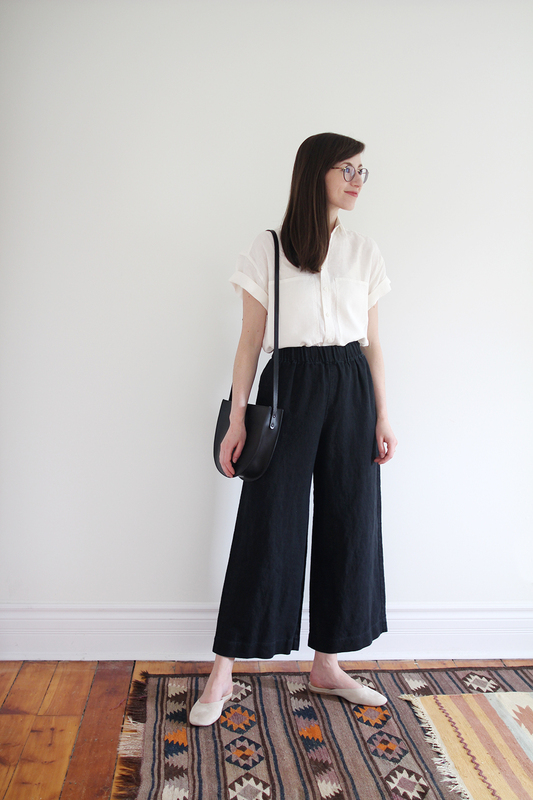 2 | FLORENCE PANT | I can’t stop wearing these pants now that it’s warm enough for linen. They’re just so comfortable and easy to slip on, tuck a top into and go. I’m sure these will be another permanent style in my collection for the foreseeable future. 3 | KAMM PANTS | Whenever I want to feel stylish and empowered, I reach for my Kamm Pants. Whether it’s date night or a party with friends or a catch up over coffee, they never fail to give me the confidence boost I need. Sadly, my black pair had a flaw in the fabric but I’m hoping to have a replacement pair soon. 4 | PERFECT SUMMER JEANS | One of the 10×10 items I can’t stop wearing is these jeans. They’ve been on repeat more now than ever before! 5 | WAYWARD SHIRT | Another 10×10 piece I’m living in is this white line button down. It feels so fresh and springy and pairs too well with my favourite 3 bottoms to not wear it all the time! Stay tuned for a restock and opportunity to use the special Style Bee discount again soon. 6 | LONG SLEEVE STRIPE | This is the striped shirt I’d been looking for forever! Super soft jersey, in a black and white stripe with long sleeves and a high neckline. My friend Sara from IMBY hooked me up with this one by Amour Vert and it’s been on heavy rotation since. 7 | T-TOP | I love this black raw silk T-Top from Jamie and the Jones so much. Their new collection of colours is gorgeous and I’m highly considering adding another colour option. 8 | KRISSY TEE | Another raw silk fave right now is this Krissy Tee from Two Fold. It’s such a great shape and feels amazing on. 9 | DAY MULE | Everlane sent me these mules to try out and they’re awesome. 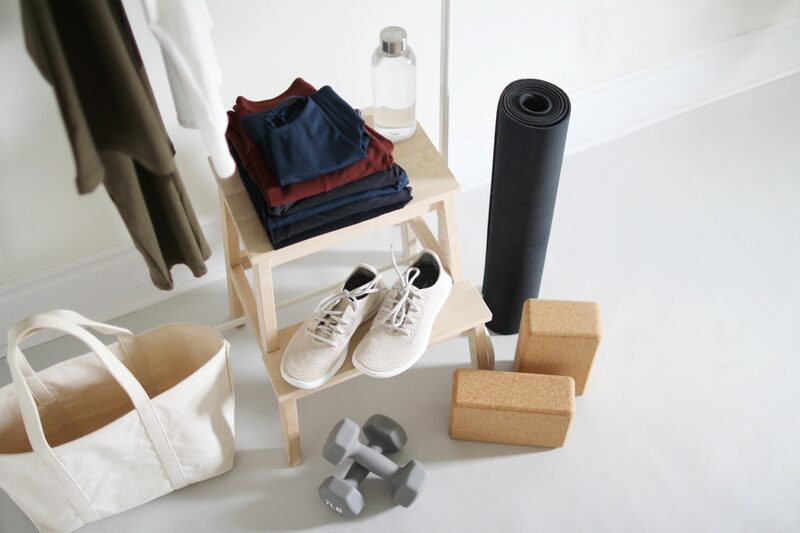 I think my favourite products by Everlane have to be their tees and their footwear. I chose the natural suede mule because I wanted a light neutral flat I could easily slip on and go with and so far they’ve been perfect. I am a US7 and got the 7. 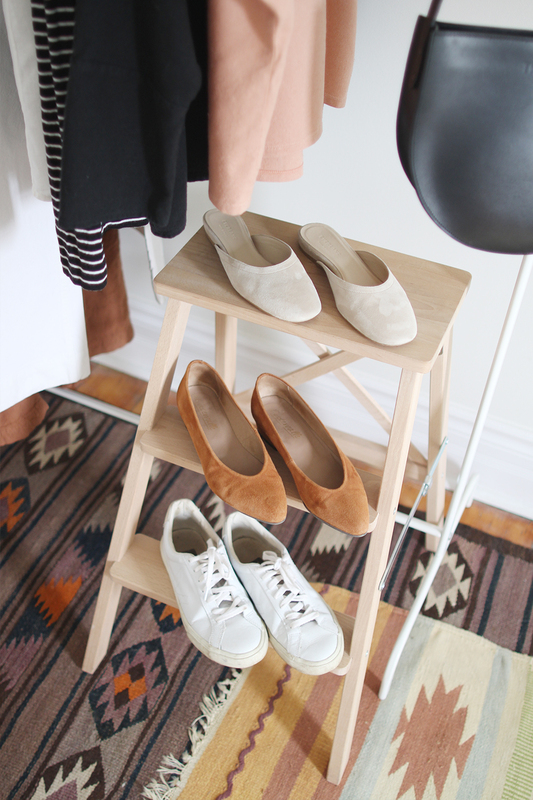 Soon I’ll have my very own page on the Everlane site from which you can shop my favourites! 10 | SUEDE FLATS | Now that these flats are fully broken in they’re my go-to when a look needs a pop of colour or a boost of sophistication. These are honestly my favourite Spring flats of all time. *Linked to a different colour. 11 | WHITE SNEAKER | These are actually one of the items I wear most and yet they’ve rarely been seen on the blog. That’s going to change later this week! I were a 38 in these sneakers. 13 | WIDE BRIMMED HAT | It’s been the perfect weather for hats lately and this one is always my first pick for some reason. I cannot recommend Janessa Leone Hats enough! So that’s what I’ve been wearing most since the Spring 10×10 ended! 1 | KEEP IT REAL | This year more than ever before I feel like I not only have true sense of my personal style but that I’ve been able to convey it genuinely and authentically on the blog. Every single outfit I’ve shared on Style Bee is one that I have actually worn (or would have if the weather permitted). There have been no outfits that I just put together for a pretty post, they’ve all be something I genuinely planned to or actually did wear. I’ve also started sharing daily outfits on my Instagram Stories just as a quick and easy way to document my looks throughout the week. I’ll be compiling them every so often for my Life Lately series as well. 2 | CREATE MORE TOOLS | This is always an underlying goal here on the blog. I want Style Bee to be more than just a home for cute outfits, but a useful reference for my readers. The new SHOP page is in the works at this very moment and I’m so excited to bring my ideas for it to life. That said, it’s a major undertaking so it’s still a ways away from completion. Promise it’ll be worth the wait! I mentioned plans to create a start to finish closet tool-kit in my 2017 Closet Mission and while I really do want to build something like this, I want to build it once and be really happy with the result. To do so will take A LOT of consideration, planning and development time. Three things I’ve found tough to apply towards anything but immediate content for the blog right now. So instead of forcing it to take shape, I’m choosing to focus on what my creative instincts are drawn to and let that idea simmer in my brain for the time being. 3 | BLOG REVAMP | Yeah…so this one is officially on the backburner until the Fall too. I feel crummy that I can’t deliver on these goals more quickly but I’d rather wait than rush it and be dissatisfied with the results. I know what I want to do and I have big plans for this little space but I’m going to leave it as is until our wedding is all said and done. That’s my major side-project right now and I can only carve out so many extra hours in a day. That said, the revamp will involve a brand refresh, new layout and a better user experience. I have lots of ideas and I think I’ve found the perfect designer to help me bring them to life! 4 | BUSINESS AS USUAL | I’ve been really happy with the content that I’ve delivered on the blog so far this year. That’s not to say I wouldn’t do some things different or that I don’t wish I could deliver more posts more often. But I am feeling a renewed sense of purpose for this space and that I’ve been able to carve out a clearer concept of what I’m creating for. Going forward I’ll be striving to keep up with my weekly 3 post schedule, although this week will only have 2. My feeling is that quality is far superior to quantity when it comes to posts so I’d rather wait and share something great than rush and share something that’s just okay. I hope that sounds good! 5 | COLLABORATIONS | I’ve felt pretty darn good about my collaborations so far this year but I’ll admit that it’s been one of the trickiest blogging aspects to navigate. I’ve tried to maintain a mix by working with a few international brands like, Everlane, Eileen Fisher and ETSY while at the same time partnering with more smaller designers like Corinne, Only Child, Two Fold and Power of My People. I’m going to continue to keep the collaborations to a monthly 2-3 maximum and will always let you know when a post is sponsored in one way or another. That said (apparently this is my new favourite phrase), I will be taking the month of June off from any partnerships, gifted product and shopping, which I very much looking forward to! 1 PIECE 3 WAYS | Starting this Friday and continuing weekly I’ll be sharing a post on styling 1 piece 3 different ways. MY ACTIVEWEAR CAPSULE | Similar to my Loungewear Capsule (PART 1 + PART 2) I’m going to revamp my workout wear once and for all! KITCHEN RENO REVEAL | We’re FINALLY ready to share a full look at our kitchen renovation very soon! NEW LIFE LATELY POSTS | Catch the FIRST ONE and SECOND ONE so far this year. 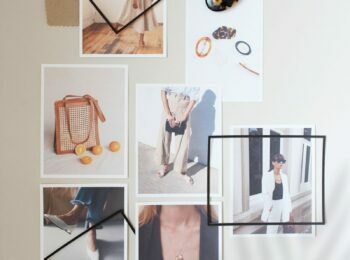 WHERE TO START SHOPPING RESPONSIBLY | A starter guide for anyone looking to begin shopping responsibly and the best pieces to invest in first. 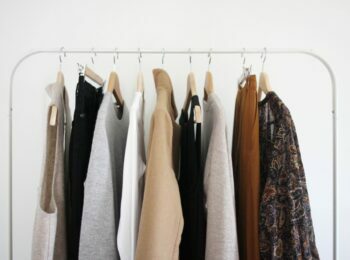 SPRING WARDROBE ASSESSMENT | Similar to my WINTER WARDROBE ASSESSMENT I’ll be reviewing the pieces I wore most and where there is room for improvement. RESPONSIBLE FORMAL WEAR | What to buy for weddings, parties and all the other semi-formal events that pop up during the summer. STYLE BEE CLOSET SALE | This will likely be my largest and final closet sale ever so follow @stylebeecloset for updates. 30 DAY SHOPPING FAST | I won’t be shopping, collaborating or accepting gifted goods all June! RESPONSIBLE SLEEPWEAR | Sources for responsibly made sleepwear that’s affordable, chic and comfortable. A surprisingly tall order. NEW 1 FORMULA 3 WAYS POSTS | See the FIRST, SECOND and THIRD posts. 30 x 30 | In June I’ll be trying a 30 x 30 throughout which I’ll style 30 items into 30 looks! I’m teaming up with two of my blogger buddies to pull that one off and can’t wait to share more soon! EASY HAIR CARE + STYLING IDEAS | For lazy folks like me. So that’s what’s on deck for the next little while. I hope you’re as excited about some of these plans as I am! If you’ve got any requests please feel free to let me know in the comments and I’ll add them to my list for the future. Thanks for tuning in to this Closet Mission Check-In and for taking an interest in what goes on here on Style Bee! 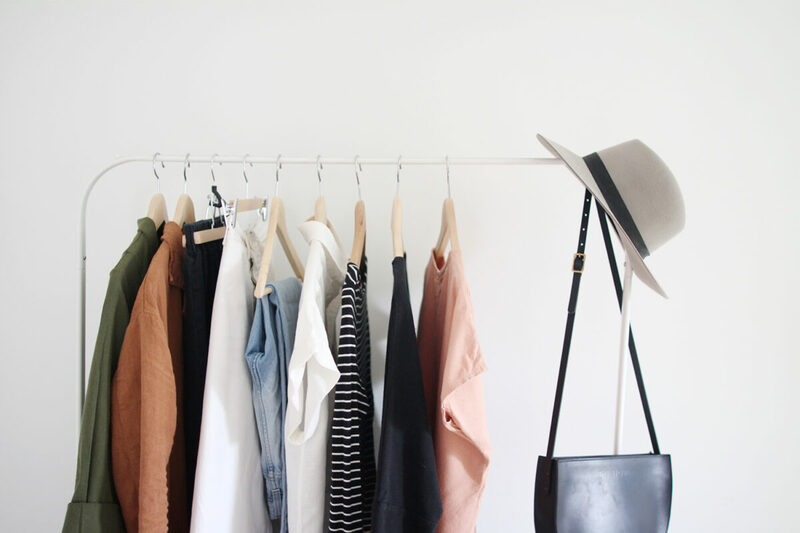 How are your closet goals coming along this year? Have you followed through on your plans or have some of them taken a back seat? I’d love to know what you’re excited to work towards this Spring and Summer! Great post! I’m excited for all the things you have to come! If you’re looking for sock recs, I’d recommend Pact (I really like their no-see-ums) and Little River Sock Mill for cotton socks. For merino wool, I really like icebreaker. No shade or snark intended, but I’d love to see a blog post about how you reconcile the cycle of accumulating clothes via collaborations and new purchases for the blog e.g. 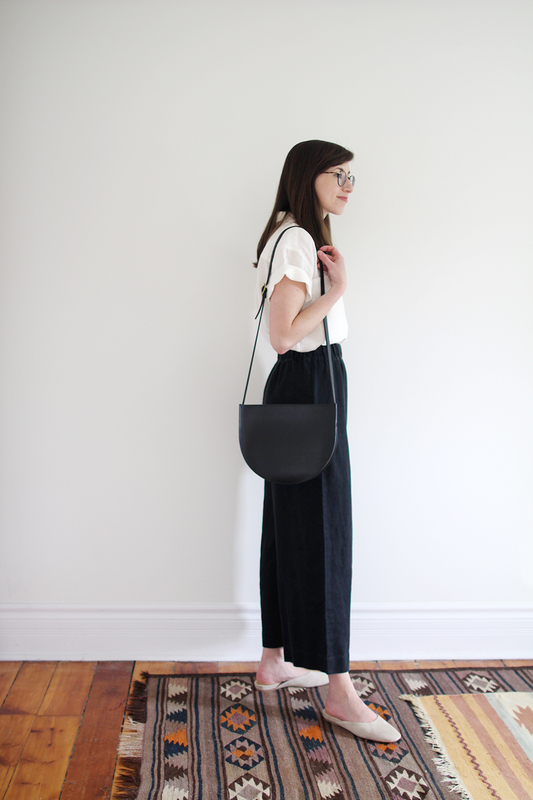 brand and product reviews, demonstrating how to build a capsule (plus purchases which are just for fun; I like clothes too) and holding sales for items you no longer wear but only recently acquired with being a proponent of ethical fashion. An important aspect of ethical fashion isn’t just to aim for better quality and better made items, it’s also to reduce your consumption of non-renewable resources and your contribution toward landfills. I feel like the obvious pitfall of ethical fashion blogs which do reviews/collaborations is that you’re still accumulating clothes on a regular basis, but instead of being from fast fashion brands, they’re from ethical brands. But if someone has a lower cost per wear of a fast fashion item than another person’s ethically made clothing, which they wear for a season and then discard (or sell to someone who may then donate or discard it), it becomes blurry between who is having less of a negative environmental impact. If clothing from ethical brands is part of the same fast fashion cycle of trends, with the same cycle of interest and then disinterest, purchases followed by purges, then apart from improved labour conditions for those making the clothes, all of the negatives still apply. 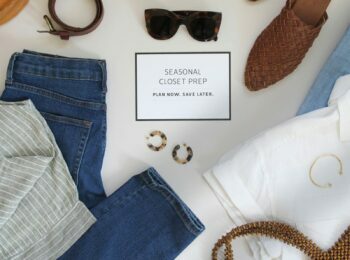 Obviously working conditions are important, since it is literally life and death for some people, but I get the sense that people who follow ethical fashion do so for a variety of reasons, so if some of those reasons are environmental, then replacing fast fashion trends with ethical fashion that you discard after a season or a year doesn’t work toward reducing their environmental impact. Me again, and I suppose the short answer to this is that you’re aware of your own accumulate > discard cycle and work toward reducing both sides of that cycle while knowing it will still continue to some degree (you can’t get an item 100% right 100% of the time), but you consider it worthwhile in order to review ethically made products in the hope that others will buy and keep them as genuine alternatives to trendy fast fashion pieces after hearing more in depth about how they feel/fit and seeing how they could be worn. In effect, you accumulate more in part to help others accumulate less, which I think you’ve touched upon before in discussions of why you review products. I guess my real question would be more like, how does that sit with you? 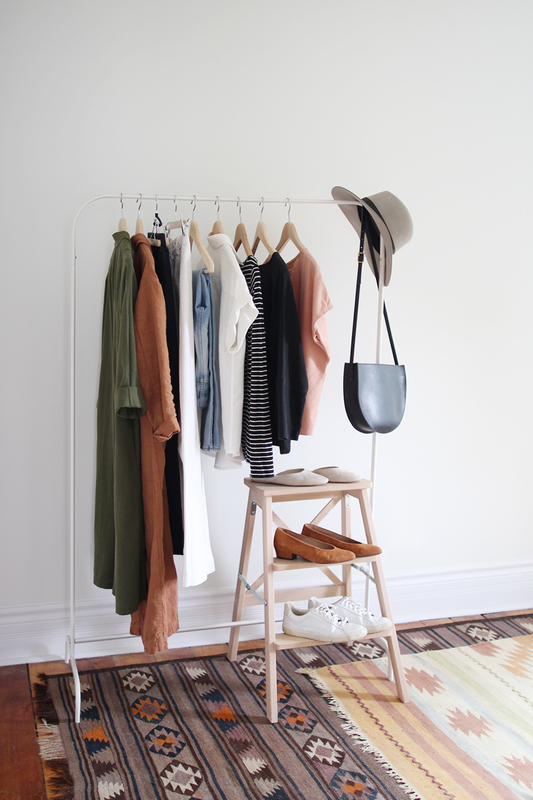 On a personal level, do you worry about the length of time you expect to keep an item in your closet? I hope this hasn’t come across as rude, because I’ve enjoyed following your blog for a while now, and if I wasn’t in the UK, I’d have seriously considered some of the brands I’ve become aware of in large part due to your blog. Hi Sophia, Thank you so much for this very thoughtful comment. No insult or rudeness construed from it at all. In fact, I’m really glad you brought it up as it’s something that I’m always considering and honestly, really struggle to reconcile with. I could spend a loooong time replying to this but I’ll try to keep it brief for now. *Spoiler alert: I didn’t. To answer your question, yes, on both a personal and professional level I find it’s a very difficult balance to strike in terms of maintaining a lean closet (which I fundamentally believe in) and reducing consumption, while taking the opportunity to use my position of influence to connect my readers with brands that are worth knowing about and supporting. What you said above was spot on too. Essentially there are 5 key aspects that come to mind most often. 1) Creating Worthwhile Content for my readers. 2) Working with and supporting brands I believe in. 3) Making an income. 4) Finding the best way to ensure the clothes I let go of are not wasted. 5) Trying to establish a balance that I feel good about. 1) I really try to keep my collaborative/sponsored content to a minimum and I feel I’ve done a lot better so far this year. I’ve considered just sharing brands without accepting/testing their products but that feels too ad-like to me and frankly, people want to know how things feel, fit, wash, wear and look on a ‘real’ person etc. so having first hand experience is what makes my commentary on the products worthwhile. You wouldn’t believe the number of sizing, fit and comparison emails I get about items everyday! Being able to help my audience make better decisions and purchases is a core mission for this blog and I do believe accepting new products occasionally even if I don’t ‘need’ them helps me achieve that. 2) I absolutely LOVE clothes (not afraid to admit that!) and I love discovering brands and makers that are creating something I think is beautiful, thoughtful and worth knowing about. I’ve made some really great creative connections and friendships with my partners and take pride in being able to help their businesses grow in a meaningful way. Honestly, I say ‘no’ to several collaboration/gifting offers every single day and only agree to the ones I would genuinely want to shop from (or already have supported) anyway. Keeping my ‘yes’s’ to 2-3 a month is no easy task, I promise! 3) I also spend a lot of time and effort on this space to create engaging and meaningful content so collaborations and partnerships are a key way in which I’m able to make an income (mind you I’m not fully supported by my blog). Unless you have a massive readership, referral links just don’t put food on the table or pay the property taxes etc.. So there is a monetary aspect to it too. Of course, I’m not in this for the money, I wouldn’t have spent years doing it for free and continue to put out many self-funded posts otherwise. 4) Being able to sell my lesser used clothes and accessories or pass them along to close friends and family members isn’t the worst case scenario to me. If I’m able to connect my readers to pieces they’ll love and cherish for a long time, I feel I’ve done my job whether or not I personally keep those items for many years. I absolutely agree that a big part of sustainable shopping, responsible consumption, whatever you want to call it, is accumulating less and I endeavour to improve in this regard for sure. But I’ve also seen many of the items I’ve sold go on to homes where they are well used and loved for a long time after. Plus, like you said, even the most thought out purchases don’t always work out. I don’t make a ton of money from my closet sales and it’s a crap load of work to host them but it helps me find them better homes than simply dropping them off at a consignment store or donation bin would. 5) I’m always thinking about how I can better embody the ‘lean closet’ + ‘responsible style’ ethos I’ve built my blog on over the last couple of years and it’s really a work in progress. I can definitely do better and endeavor to but I could also do a lot worse so I try not to beat myself up too much if I make the wrong call or end up not loving something I initially really liked. I’m getting those white sneakers for Mother’s Day…so excited!!! ❤️ Did you spray them with a leather protectant? I am 100% with you about the “relief”! I myself felt quite pressured to purchase something from WWC when it launched. But I forced myself to sit on it for a few days, and looking back, there’s nothing that I really really wanted (or needed. I never NEED more clothes lol). I am a big fan of Elizabeth Suzann, but I definitely get more attracted to the cold weather collection or the signature, so I am going to wait for the signature re-launch and cold weather. But your insight is so helpful for me as I go through constant editing and re-editing of my wardrobe and try to be careful not to add anything that I don’t see myself wearing in 10 years. 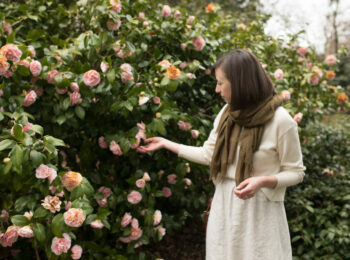 Hi Lee – I really enjoy reading your blog and watching how you shop sustainably and put together such great outfits. I love the blush Krissy tee – and it looks uncomfortably high cut at the neck (in front). Is that just the way the model is wearing it or???? I would be very interested in more posts on wardrobe fails! While I’m sure this happens less and less often to you as your wardrobe becomes more cohesive and “you,” have there been outfit combinations you thought would work but just didn’t? What happens if you were to wear such an outfit for an entire day? I think this would be a fascinating experiment for all of us as a way to really test the limits of our creativity. Does our ability to define our style improve through such an exercise, like it does with a 10×10? How much is the “fail” a function of how we feel, versus whether our risk-taking is visible to others? Looking forward to seeing all that you have cooked up! Wow! You are one amazing stylist & sincere & creative teacher-of-your-art! Looking forward to your beautiful posts; I am new here( during your recent 10×10), and I look forward to coffee & opening my weekly Stylebee email to discover fresh perspectives & to explore what I will be given enlightenment! Agreed (with ladies’ comments)—- evolve in ways that will freshen You, but know you are a gift of givenness! Speaking of ES, I’m curious as to your thoughts on Petra sizing. What size did you get, was it your normal size, and would you get that same size now (considering how you like the fit of it on its own and as a layering piece over turtlenecks and jumpsuits)? Also, if you weren’t well stocked in the duster area do you think you’d go for a Clyde linen trench? I’m still trying to build my spring coat collection! Hi Lee, check out Patagonia for outerwear and active wear. I worked the industry and it is by far the most innovative and self aware company out there. The clothes are all made impeccably, they hold up to all kinds of workouts and activities, there is an iron clad guarantee and not only do they care about the people who make their clothes, they care about the geese and sheep that provide down and wool and also the environment. Yvon Chouinard has an amazing book called let my people go surfing that focuses on building a sustainable earth friendly business. So much gratitude for your genuine presence here, Lee. And for such a thorough, thoughtful, absolutely delightful blog! Love where you’ve gone this past while…and excited about where things are headed! They were super-responsive and are offering me store credit to get something that’s a better fit. I never would’ve asked, this late along the way, if not for you! Responsible Formal Wear please!!! I am transitioning from student to professional in the next year or so, and I decided to pause for clothing shopping for 18 months (I will make my own clothes if I need something between now and then), and will start from fresh once I move to my new job (since my lifestyle and activity will likely change then). It has been so inspiring to follow your journey and start to think about my own wardrobe more and more in a daily basis! Truly appreciate your posts and all the great brands you’ve introduced me to! I live in a very remote area which is hours away from any city, so the internet and blogs like yours are the only way to figure out where I can order responsiblly made, current garments (otherwise I just make them myself, which is also fun). I just ordered the black linen Florence pants- can’t wait! I waited until the WWC was released just to see what other options they’d have, but ultimately went with the black anyway. Looking forward to future posts! FYI- the white button down link is actually linked to the Madewell jeans (at least that’s how it’s popping up in my phone). I would also recommend Girlfriend Collective for workout wear. They are launching their first full line in June but I have a pair of their initial leggings and wear them every morning (no joke) and they have held up incredibly well for the last 7 months. They are ethically made and are made from recycled water bottles so it’s a double whammy in my book. Love the blog and can’t wait for the hair post, I need that so badly! Check out Beyond Yoga for active wear. 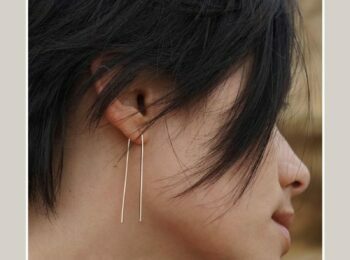 I’ve really liked the pieces I have from them, and they wash and wear wonderfully! They are designed and made in Los Angeles. They have started to grow, and have partnered recently with Kate Spade for a line of active wear. I’m always so impressed that you keep up with this while working full time (and planning a wedding at the moment too!). Always look forward to your content and to be honest, when I’m feeling that panicked urge to shop, your posts bring me back to earth and remind me to be more mindful. I appreciate the vulnerability of your post! 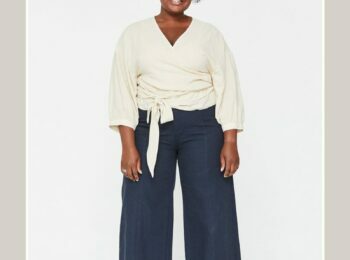 I wanted to ordered the Mara jumpsuit in silk crepe but am torn because linen is so darn durable – however I worry about it wrinkling in weird spots. I was wondering if you had any ES pieces in silk crepe? If so, how does the fabric hold up over time and in high friction places? The comment is that I hope you’ll make the blog posts easier to find. I’ve been reading your blog for a while but used to miss so many posts until I subscribed to your mailing list. Like today’s post, for example. I just cannot find it on the blog and I actually looked for it. I knew it had to be somewhere since I got the email. Finally I just clicked the link in the email which was easy enough. My point is that readers who haven’t subscribed might miss out on a lot of your awesome stuff. The question may be a little iffy but I’d honestly like to know: what kind of socks do you wear with your spring / summer flats or mules or do you go barefoot? Not talking about sandals or clogs here because I think those just need to be worn barefoot. I’m weird with smells so for me the idea of wearing a (semi) closed-in shoe without socks is not so appealing… the insole goes dark very fast, gets “stuck” on my foot on hot days and eventually tends to get smelly… not to mention they wear out faster. I don’t think the problem is my feet but rather my oversensitive nose. I have nylon footliners that hardly show in shoes but I don’t find them that comfortable and many slide out of place. The ones with silicone in the heel tend to stay put better. I’m just wondering if you have any tips regarding this? Hi Jonna, Thanks so much for this feedback, it’s very helpful. I’m pretty sure the new posts showing up is a browser cache issue. If you clear your browser cache then load the page it should be resolved. The best way going forward would be to add a link to the home page (www.stylebee.ca) to your bookmarks, then it will load fresh when clicked rather than pull up a cached version which can happen in browser searches. That said, I’m going to touch base with my developer and see if there is a way to resolve this from our side. Also, while I’m sure your blog revamp will be gorgeous whenever it comes to fruition, I really enjoy the layout/design of Style Bee as-is! Just want you to know that it currently looks great. I’m thinking about adding the ES Clyde jumpsuit to my wardrobe (probably in navy), but I honestly haven’t worn overalls or a jumpsuit since I was a kid! Do you think they’re here to stay for a while? I’d hate to spend that kind of money on a fleeting trend. You have opened a new, thoughtful world to me. And this is on many levels. Thank you for all you do and the information you share.